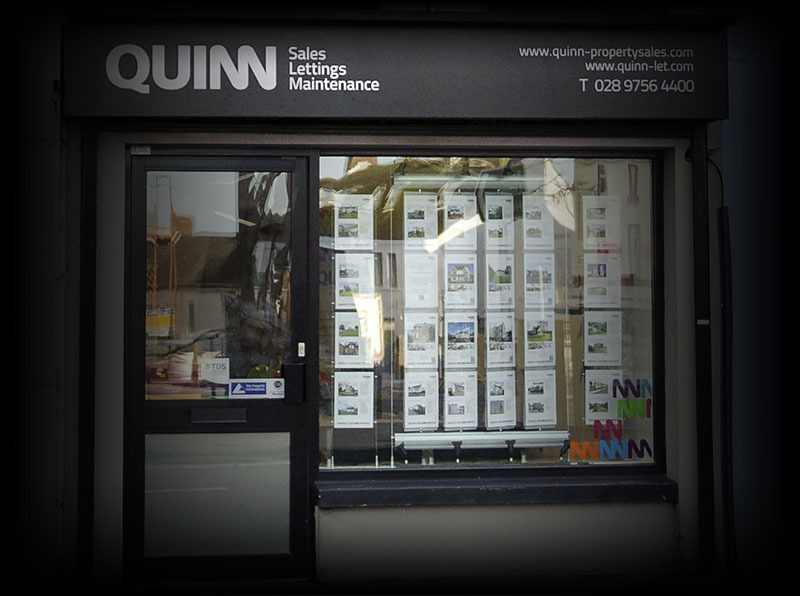 Quinn Property Sales & Letting Specialists was founded in 2010 by Jonathan Quinn initially as a specialist in the management of residential lettings. 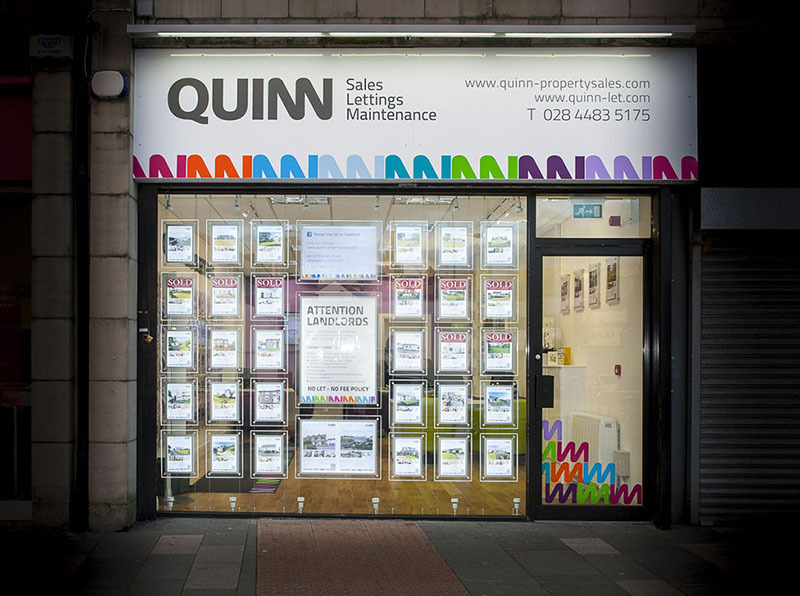 Jonathan was later presented with an opportunity to take over an existing Estate Agency in Ballynahinch which introduced property sales to the business. Since then the company has gone from strength to strength. In November 2013 we opened a second branch in Downpatrick and in February 2016 our third branch opened in Newry Street, Banbridge. It is our hope that the company will continue to grow, and already we are making plans to add additional offices to our branch network. We currently employ 12 full time members of staff and take great pride in the knowledge that many of our team benefit from years of experience and have formal qualifications in their field including graduate and postgrad qualifications in housing studies. Other members of our team have completed the Level 3 City & Guilds award in property which is a recoginised by the National Association of Property Professionals. In each branch we also have an Independent Financial Advisor who is on hand to offer clients advice in relation to Mortganges, Trusts, Pensions, and financial protection. Our financial advisors are employed and regulated by Welby Associated who are based in Lisburn. 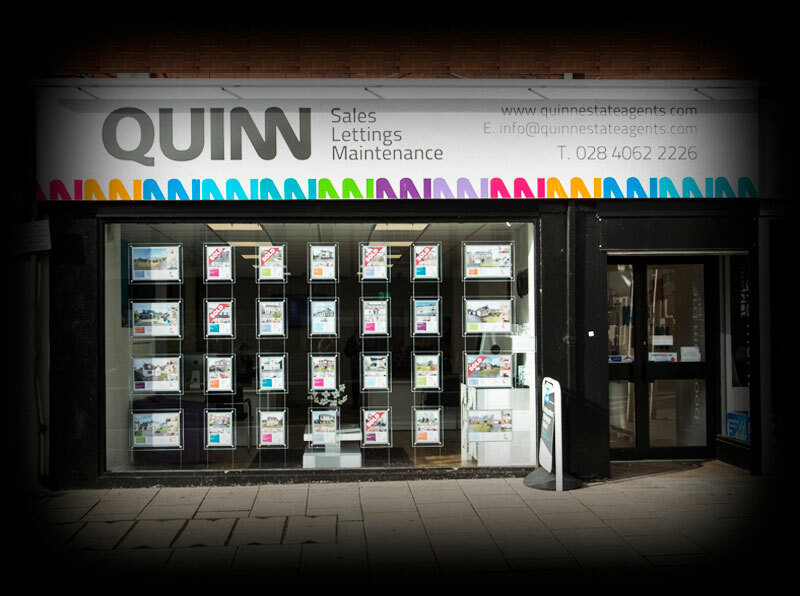 With offices in Ballynahinch, Banbridge and Downpatrick, we are able to cover a wider area, giving you home the audience it deserves. Take a closer look at your local branch where you can meet the team.